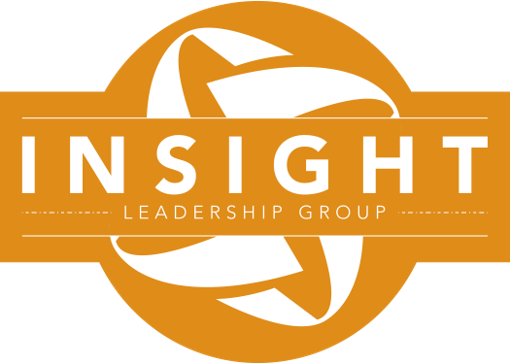 NCURA’s Insight Leadership Group (NILG) is a 10-month virtual leadership program led by Garry Sanders, experienced research administrator and nationally recognized executive coach. From February – November 2018, cohorts will have monthly 90 minute calls facilitated by Garry. During the call, participants will work through real-life research administration scenarios and learn cutting edge leadership strategies. Between calls, participants can look forward to curated readings and resources to promote engagement between cohort members on a secure site. This program is complimentary to the NCURA Senior Leadership Workshop. The deadline to submit applications for the 2018 cohorts was October 2, 2017. This will be the only session in 2018. NCURA Member price: $700. Non-member pricing listed on application. Click here to watch Garry introduce NILG. Senior Leaders Cohort: Senior Leaders have significant responsibility for strategic direction and leadership in broad sponsored program functions, with significant stakeholder interactions at their institution and with collaborating partners. They often report to an officer or cabinet level leader. They set the course and lead efforts to change operations at their institution. Their decisions affect a broad range of stakeholders. They manage complex and disparate views and objectives of stakeholders. Operational and Functional Team Leaders Cohort: Operational and Functional Team Leaders are responsible for managing one or two key components of the sponsored programs business cycle, whether Pre-Award, Post-Award, or Compliance. These individuals often report to a Senior Leader (as defined above.) It is necessary to have supervisory experience and a decision-making role at an operational level in sponsored programs administration. Not sure which cohort to apply to? Send your questions to insight@ncura.edu. · Supervisor Letter of Support indicating how the applicant will benefit from the NILF and that both time and funds are available for the application to utilize. Applications will be accepted through October 2, 2017 at insight@ncura.edu. The application deadline is 5pm (EST) on October 2, 2017. Up to 10 applications will be accepted per cohort. Free to apply, cost to participate. NCURA Member pricing and Non-member pricing is located on the application form. Applicants will be notified of acceptance by early December. Credit Card payment instructions will be sent to accepted applicants. **One facilitated 90-minute conference call per month beginning February 2018-November 2018. During this call, participants will process, as a community, what they are learning and discuss real-life leadership scenarios using coaching techniques. Between calls participants are expected to review leadership literature and studies distributed by the executive leadership coach, Garry Sanders. Both cohort calls will take place mid-month and a calendar will be sent to accepted cohort members. **Between calls, participants can anticipate engaging in open and frequent interchanges between group members using a password protected website. Cancellation Policy: Refunds of the registration fee, less a $75 administrative charge, will be honored if the request is received no later than January 15, 2018. Requests can be made online or in writing; the written request cannot be in the form of an email, phone call or fax. After that date, no refunds will be made. Registrations cannot be transferred.